Looking for a local locksmith in Tamworth? Pik Mik is a professional mobile locksmith specialist covering Tamworth & the surrounding areas. Areas Covered: Tamworth, Drayton Bassett, Fazeley, Wilnecote, Polesworth, Dordon, Grendon, Atherstone, Lichfield, Sutton Coldfield, Measham, Walsall, Cannock, Nuneaton. 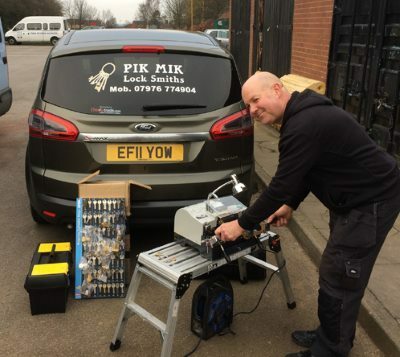 Welcome to PikMik, your local Tamworth Locksmith, serving the wider Midlands area. We pride ourselves on providing a professional and personal service directly to our customers. Unlike many of our ‘local’ competitors, we’re a friendly family run Tamworth locksmiths with no middlemen, so we can keep our prices fair and honest. 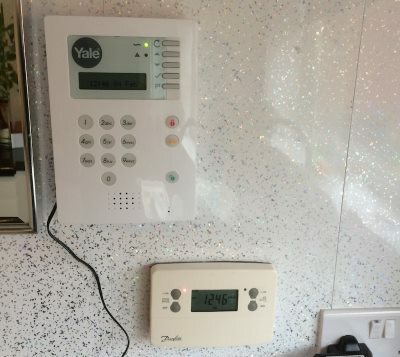 Fully trained and experienced in all types of lock supply and fit, we work with an extensive variety of manufacturers including Yale, Era, Union and more. We can also fit any type of lock for doors, windows and garages. 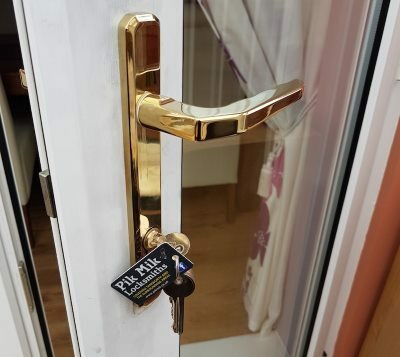 We can also provide non-destructive (where possible) entry to your property should you become locked out or repairs and replacements for your locks to BS3621 Standards. Our replacement locks help keep you safe! Whether you are an individual or a commercial premises, our locksmith services are available both in and out of hours so you can have piece of mind that a local and reputable locksmith is never far away! When you are searching for a “locksmith near me” you want someone local! Pik Mik isn’t part of a national chain or a franchise. Mik is a local Tamworth locksmith who lives in the area and is trusted to get to you quickly and sort your security issues without fuss. Very professional. Arrived quickly and assessed the issue. Quickly opened the door and diagnosed the problem. He had all the parts needed to repair the door so no delay. The repair was quick and very tidy as cleaned up after himself completely. Offered an optional upgrade to the lock system at a very reasonable price. I took the offer up. I could not be happier with the advice, service and repair. Highly recommended!! It’s not often you can find an independent specialist now, so support your local locksmith!! Very efficient and quick service at a good price. I have utilised Mick previously and would definitely do so again. I would highly recommend. Very quick, friendly and efficient service from Mick at a reasonable price. He fixed my front door locks in a no nonsense manner. Definitely recommend! Quick efficient service,very friendly sorted our jammed lock out straight away.would highly recommend.Thank you. Reliable and friendly. No call out fee and only paid for the work done. Very reasonable price. Professional Worker. On time, stocks parts; cut keys on site. Fabulous value for money. Cannot fault service!! Will use again!!! UPVC doors, window locks and ALL lock types serviced or replaced as required. New locks fitted / keyed alike (Same keys for all doors) or master keyed if required. Lock upgrading to BS 3621, for insurance. Boarding up, Landlords master keyed locks.